ZCIEA Secretary General Wisborn Malaya (Zimbabwe) delivered a strong statement from StreetNet during this Tripartite Committee Meeting highlighting on real examples of violence and harassment towards street and market vendors around the world. Unfortunately, this amendment was not even submitted by the Workers’ Group to the Tripartite Meeting discussion. However, there is a possibility it may be added to a new list of other amendments developed by the Workers’ Group during the second-year discussion of the standard setting instrument in 2019. The Tripartite Committee did support the adoption of the standard setting instrument to be in the form of the Convention supplemented by the Recommendation on Ending the Violence and Harassment in the World of Work. Lorraine Sibanda, the President of StreetNet also spoke at the Tripartite Committee on Social Dialogue and Tripartism despite some blockages created by the Employers’ Group. Five minutes intervention of StreetNet President Lorraine Sibanda at the ILC Plenary was very impressive and successful as she urged all social partners to adapt to changing realities so as to increase their representativeness and practical inclusivity of workers in the informal economy into the social dialogue structures. 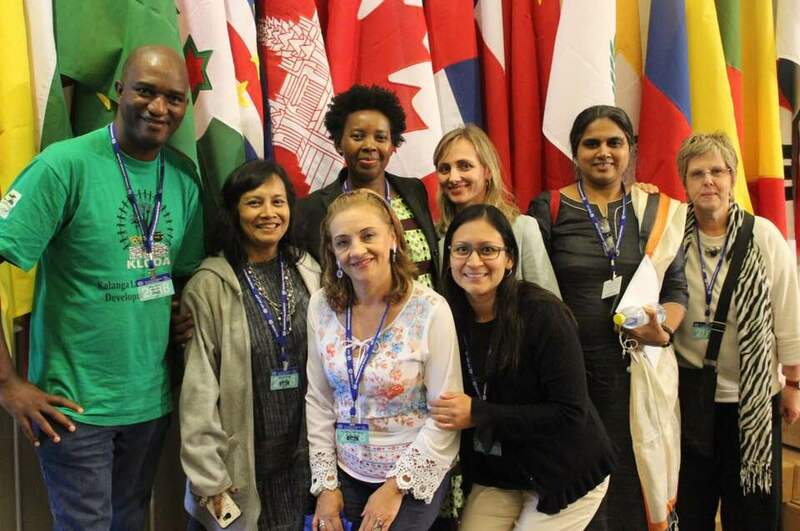 Some of the members of StreetNet Delegation also attended a side event called “Tripartism plus: Rethinking Social Dialogue in Times of Globalization & Informalization,” which was hosted by the World Council of Churches. In conjunction with the 107th International Labour Conference, this event sought to raise awareness of the opportunities and challenges associated with social dialogue, highlight its potential and limits in our societies, and facilitate a creative discussion on the different positions and approaches in reinforcing Social Dialogue within and beyond the ILO at the national and local level. Finally, the StreetNet delegation was successful and productive as it met and networked with many StreetNet allies and partners.